De La Rue plc is a banknote manufacturer, security printing, and papermaking company with headquarters in Basingstoke Hampshire, England. It currently also has a factory on the Team Valley Trading Estate, Gateshead, and other facilities at Loughton, Essex and Bathford, Somerset all also in England. From 1984 to 1996 Thomas De La Rue plc operated a HK banknote printing plant in Tai Po which was bought by the HK Government and was renamed the Hong Kong Note Printing Limited. The company was founded by Thomas de La Rue, [b. 24th March 1793 d. 7th June 1866] who moved to London in 1821 and set up in business as a stationer and printer. Working as a “boy of the streets”, in 1831 he secured his business a Royal Warrant to produce playing cards. In 1855 it started printing postage stamps and in 1860 it began printing banknotes. 1793 The company founder, Thomas De La Rue, was born in Guernsey. After a 7-year printing apprenticeship he moved to London and developed a straw bonnet millinery firm in which he experimented using Macintosh’s patent “for rendering substances impervious to water” and examined substitute leather invented by Hancock. 1832 William IV granted a Royal Letter Patent for improved playing cards. These were of outstanding paper and registered print quality. Many other patents followed. 1833 Thomas, in partnership, rented property in Finsbury, which remained the business home until it was destroyed during the 1940 Blitz of World War II. 1855 The company started printing postage stamps. 1860 The company started to print banknotes. Along with playing cards and postage stamps, these were the main items of the De La Rue business. 1856 Thomas died, leaving a well established family business which had developed several diverse industries. 1876 The company’s first trademarks were for playing cards. 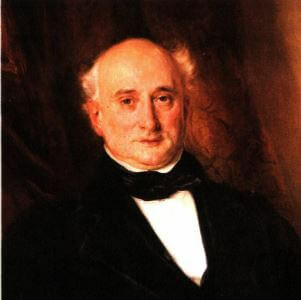 Warren De La Rue, Thomas’ eldest son, born in 1815, became an eminent scientist much involved with the new business world of envelopes and stamps. 1905 Sir Evelyn Andros De La Rue held many patents on fountain pens. The Onoto pen, using a filling plunger, was launched and established a great market presence. 1914 In the plastics field Thomas De La Rue acquired interests in Telenduron products, whereby battery boxes and electrical insulators were moulded from bituminous compounds. Endura-ware tableware products were subsequently produced from thermosetting plastics. 1937 Major business growth led to large investments in the Walthamstow Avenue Works – 1,000 to 1,500 ton presses moulding novolak phenolic resins, and the number of hydraulic compression presses grew to seventy. Phenolic cloth laminate Delaron sheeting was produced for electrical and mechanical use. In collaboration with the British Post Office, De La Rue Plastics Ltd produced components and coloured telephone housings over many years. Moulded phenolic radio cabinets were also major production items. De La Rue Insulation Ltd was established to handle the production of laminated decorative board for construction purposes. WWII. The Avenue Works and ancillaries were, at one stage, the largest moulding group in Europe and their value was proved when many items were produced for the armed services, including Bakelitephenolic grenades, communications equipment and large items for Wellington bombers. Joint work with groups such as Plessey Co using high dielectric Bakelite materials and producing plastic replacements for metal car components, provided essential support to the war effort. Plastic non-metal toilet seats for minesweepers provided a novel approach. Injection moulding developed with use of new polythene resins for radio and radar, as well as high numbers of cellulose acetate combs. 1945 The Avenue Works and related groups employed 3,000 people working in three shifts, producing items such as thermoset car components. Other products emerged using new polymers such as polypropylene, nylon and high impact polystyrene. De La Rue Gas Development – factories leased at Gateshead and Elstree; gas appliances designed and tested. Thomas Potterton (Heating Engineers) had had difficulty obtaining castings; acquired Emscote Foundry Co Ltd which was making another, cheaper design of cooker. 1947 The security printing business was not seen as having potential for growth. In order “not to dissipate the efforts of the directorate” by managing 2 separate plastics companies, the moulding interests (ie De La Rue Plastics) were sold to National Plastics. The insulation, industrial and decorative laminates business, De La Rue Insulation, was established in a new factory at Tynemouth in the north east of England. A second area for growth was to be gas water heaters – the company acquired Thomas Potterton (Heating Engineers) and set up another new subsidiary De La Rue Gas Developmentand Perfecta Gas Appliances Ltd. To address the bottlneck in castings, purchased Emscote Foundry of Leamington, which was also producing a gas cooker; production of this cooker had been increased to 1000/month . 1959 National Plastics was acquired by Courtaulds, whilst Formica became the laminate group in North Shields, manufacturing and marketing decorative and industrial laminates from 1946. Formica became part of Formica International, with De La Rue holding a major interest in collaboration with US Cyanamid Corporation, which had established the US Formica Corporation in 1914. 1968 De La Rue was manufacturing large volumes of metallic, decorative and electrical laminates in fourteen countries, with huge press capacity in North Shields and in France. Investment in research and development at the Maidenhead Research Centre provided many innovations in the above business alongside the continuing Thomas De La Rue security printing businesses. Formica International was sold to American Cyanamid in 1977. 1969 The playing card business was sold to Waddingtons, while the rest of the company still continues under the De La Rue name. The De La Rue Group continues to use and develop plastics materials in its many varied business interests including banknote threads, holograms, security documents and printing components. It remains the world’s largest security printer. This article was first posted on 16th December 2016.